Good Monday morning! Back from walkies and ready to dive into 2019! So, my plan was to update my goals each Sunday…..missed that deadline. But no worries, here’s a quick update! 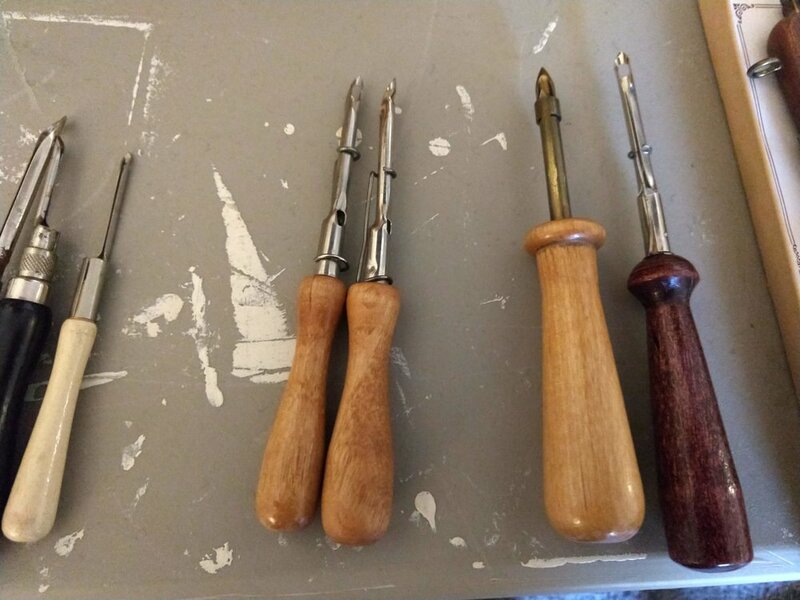 Last week I pulled out some of my vintage rug punching tools and gave them a go. Definitely a learning curve on most of them! The Columbia MInerva punch needle was the easiest to work with. I’ll post a sample of the stitches with the name of the tool on the picture. 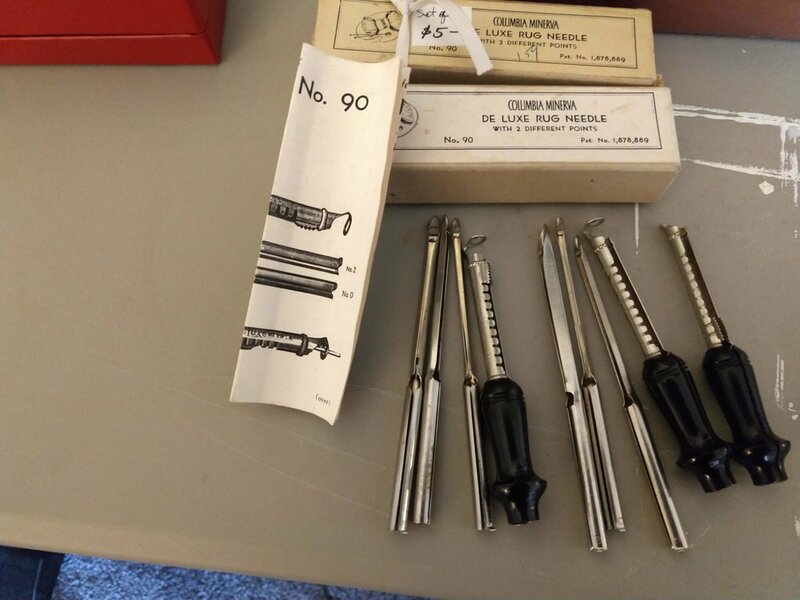 These tools are pretty easy to find and fairly inexpensive. I think it’s a great way to get started punching on a budget. Make one recipe from The Great British Bake Off once a week. 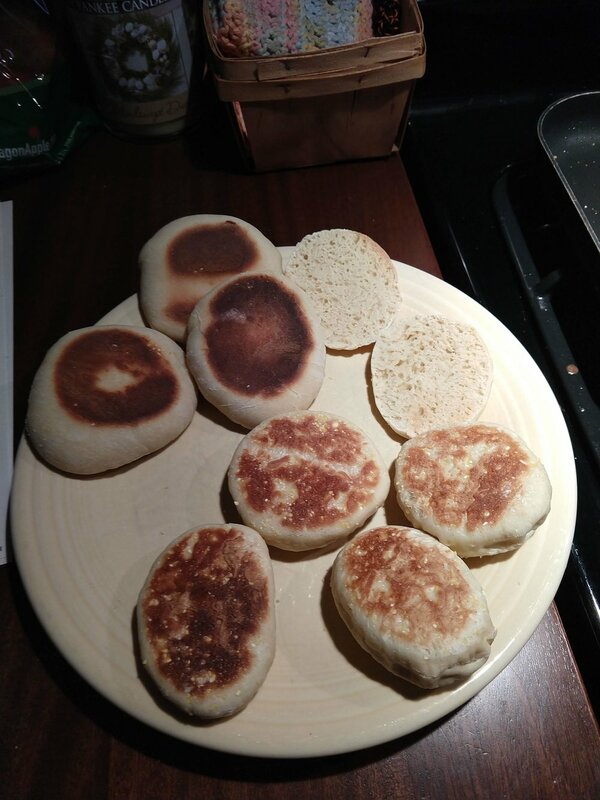 Muffins on the griddle. Yes, weird shapes. Finished product. A little doughy on the inside, but all in all, not a horrible outcome. 3. Schedule monthly classes as well as open hooking days. I’m researching a venue here in town and should have my class schedule updated by next week. Bees ordered, pick up some time in April! Seed catalogs out and ready to be read.